We only use selected Redwood species for our Gate Posts, this is due to the durability of Redwoods, which are far superior to whitewoods like Spruce for any ground contact product. Our gate posts are all 4WW (four way weathered) as standard. We hold stock of each size of standard gate post from 2.4m x 125mm x 125mm (8′ x 5″ x 5″) to 2.4m x 200mm x 200mm (8′ x 8″ x 8″). 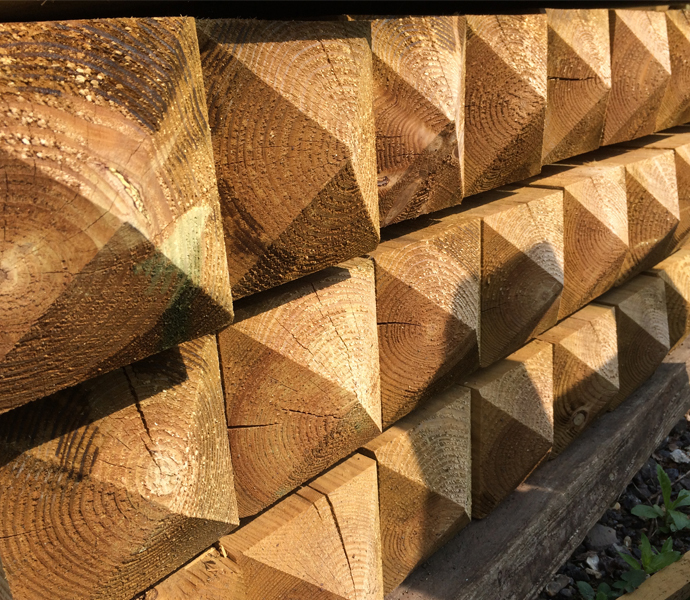 All of our gate posts are treated to class UC4, through a combination of selecting 100% Redwood Timber, kiln drying to an appropriate moisture content and using a highly effective treatment, combined with the kiln drying process ensures maximum treatment penetration.